Colombia’s President Ivan Duque first visit to Europe was met with protests by activists demanding an end to the mass killing of social leaders and the repression of student protests. Protesters were removed from the UNESCO office in Paris where he was speaking with other government officials, avoiding a confrontation there. But when Duque took part in a science conference on Monday, he could not evade the barrage of criticism coming from activists and students who demanded an end to the mass killing of social leaders in Colombia and the violent repression of student protests. We demand that the administration of Duque and [his political patron, former President Alvaro] Uribe stop the systematic murders in Colombia and stop the persecution against the social movement and the student movement. Indignant he was held responsible for the gross human rights violations in his country and accused of being a puppet president, Duque abandoned the Sciences Po conference in the French capital. 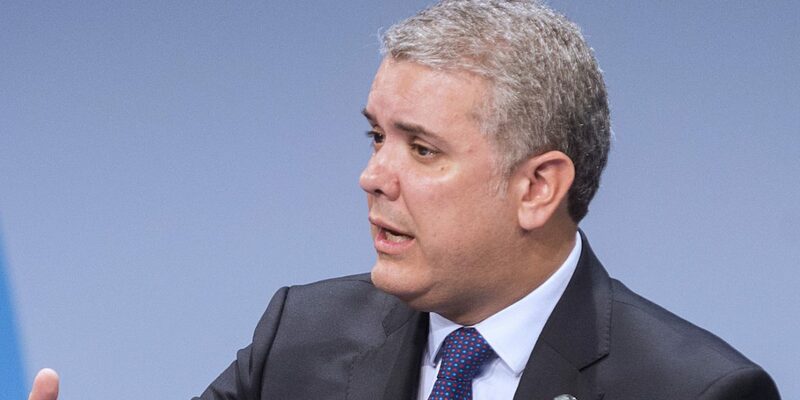 Duque’s next confrontation took place when the president ran into a Colombian exchange student, who reminded Duque he had falsified his CV and had inflated his academic achievements ahead of his election. I’m a student. I am finishing a doctorate in constitutional law here in France. Those doctorates here take years. In France you don’t get a diploma in 10 days. The student additionally demanded Duque take part in serious negotiations with students after talks between his education minister and student organizations broke down last week and subsequent student marches were met by violence. Dozens were injured in these protests and at least three students went missing after the police broke up manifestations in Colombia’s capital Bogota.